YaleEnvironment360 covers the unknowns and opportunities presented by genetic engineering in the field of conservation. Gene drive opens up new opportunities in many different fields. In a recent article in YaleEnvironment360, award-winning writer Richard Conniff delves into a potential application of gene drive for conservation. Gene drive could help conservationists prevent extinctions of seabirds and island species. Invasive rodents have significant negative impacts on island biodiversity. Projects to remove invasive rodents from islands are very complex and challenging. 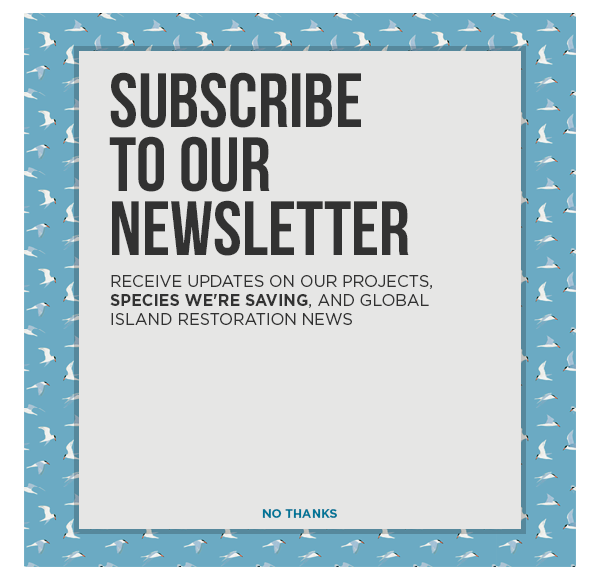 Current tools available for conservation intervention restrict professionals to a suite of islands home to less than 15% of the Critically Endangered and Endangered island species that need protection. We are committed to a precautionary step-wise approach, with plenty of off-ramps, if it turns out to be too risky or not ethical. [With…changes taking place all around them,] Conservationists absolutely must engage with the synthetic biology community, and if we don’t do so it will be at our peril.